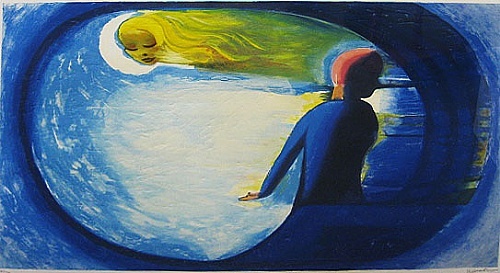 Charles Blackman (1928–) is regarded as one of the most important Australian figurative artists of the late 20th century. Stylised images of children, women, flowers, butterflies and cats recur in his work. Blackman is a prolific artist and has produced hundreds of paintings, etchings, lithographs and drawings each year. 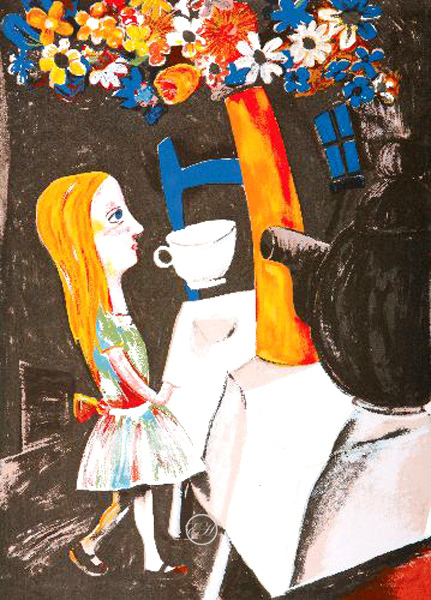 In the 1950s he painted his famous schoolgirl series, followed by the Alice in Wonderland series. In 1951 Blackman married poet Barbara Patterson, who became his muse and inspired many of his works.